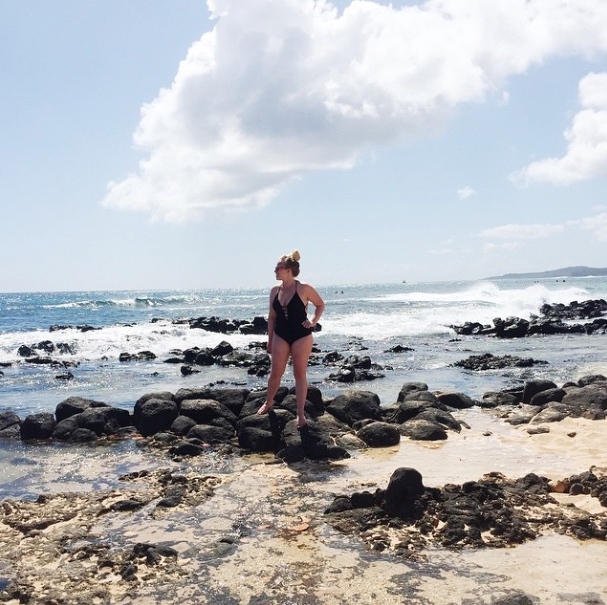 One of our more "relax" days we hit up Poipu beach where the water was a beautiful 3 shades of blue and there was this fun rock jetty going out into the ocean. I ordered this romper from Asos and it was one of my favorite vacation purchases. I wore it ALL the time during the trip! It was flowy, lightweight, and I could throw it on over a swimsuit and go out to eat. 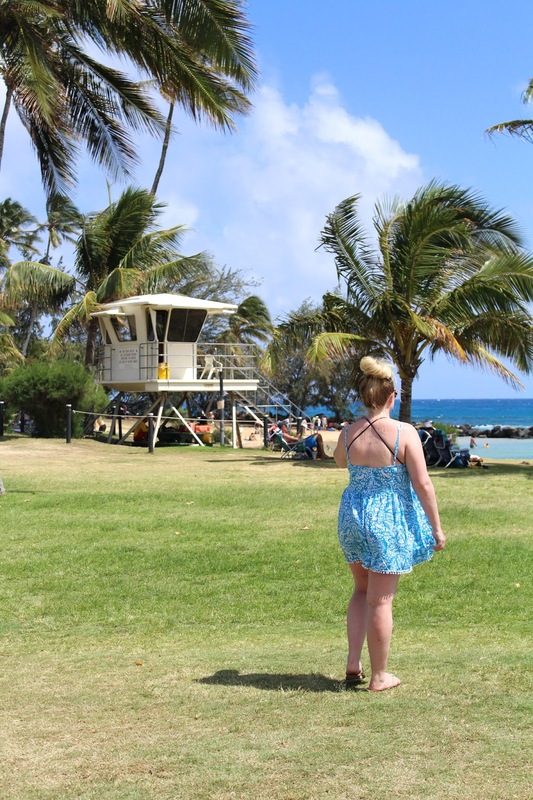 Another favorite that I picked up for Hawaii were my Rainbow sandals. I've never owned a pair before, which is shocking since practically everyone in my high school had some. I got mine from Flip Flop Shops in the Fashion Place Mall in Murray, UT where they had a ton of options. I love that romper on you! Rompers have quickly become one of my favorite summer pieces! LOVED that beach. And you look great!